EconomicPolicyJournal.com: Is Trump Wearing a Bullet Proof Vest at the G20 Summit? Is Trump Wearing a Bullet Proof Vest at the G20 Summit? Either President Trump has put on a lot of weight or he is wearing a bulletproof vest while attending the G20 Summit in Buenos Aries, Argentina. If you study the structure of the suit in the picture below, it sure looks like the outline of a bulletproof vest. Deep state assassins were sufficiently skilled that they triangulated a moving target from a distance to get a number of effective head shots. Granted, the quality of the CIA today ain't what it was in the 60s, but all the same how would a body vest provide significant protection from professional government killers? 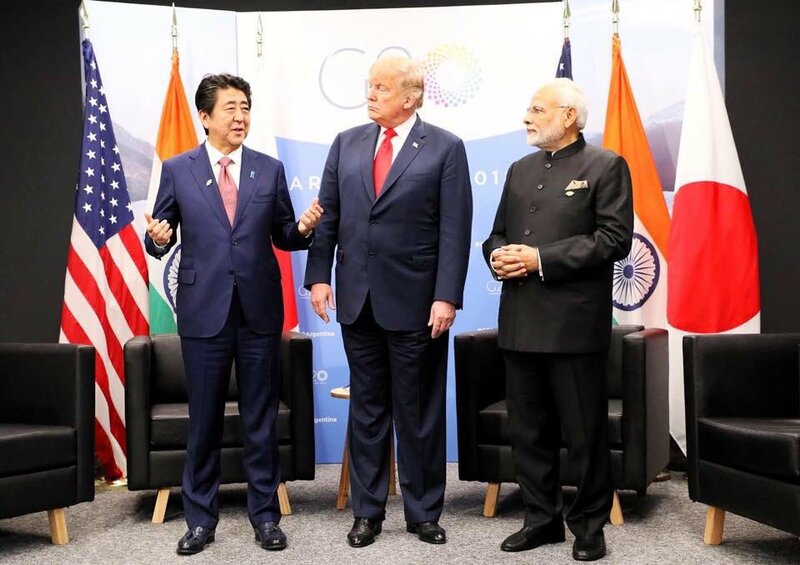 If the hit-man is that amateurish, then it's Abe and Modi who need to wear the bullet-proof vests. Trump has a had enough head to take a bullet.